This is lakefront living, sit on your oversized screened lanai and enjoy watching each beautiful sunrise over Lake Candlewood. This cozy Candlewood Lakes pool home is located approximately 3 miles from Sanibel and Captiva Island and 5 miles to Fort Myers Beach. 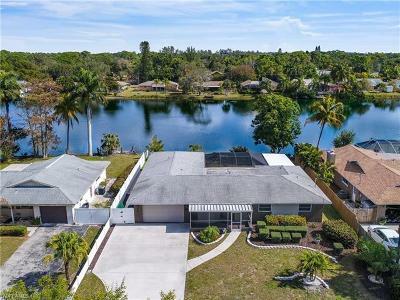 This lovely 3 bedroom, 3 bath pool home is perfect to live the Florida lifestyle complete with sliding glass doors from the master bedroom, dining room and guest bedroom that leads you to your dream screen lanai. The guest bedroom is an en-suite, perfect to use as a pool bath. Excellent location and beautiful lake views make this home where you want to live.